In Google Analytics for iOS, there are two types of campaign measurement. There’s install campaign measurement, which lets you track the channels which brought your visitors to the App Store, where they proceeded to download your app. 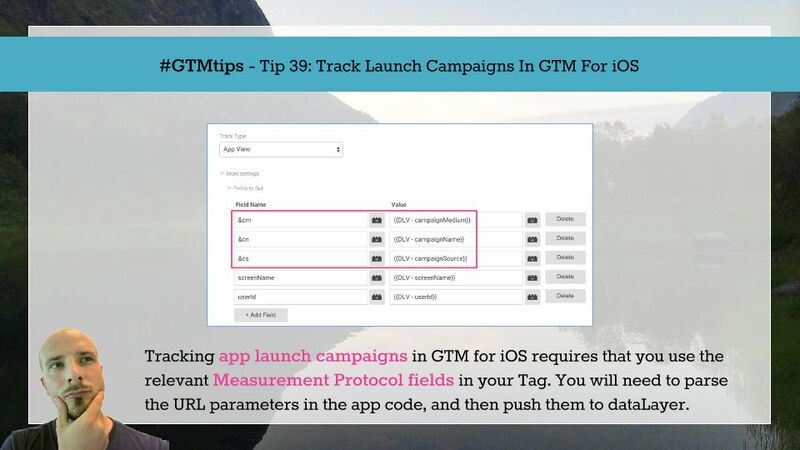 There’s also launch campaign tracking, which lets you attribute app launches to specific campaigns. In this tip post, we’ll tackle the latter. We’ll leverage a feature of the Google Analytics iOS SDK to build the parameters, and then push them to dataLayer so that they can be used in the Tag.